By definition of Sporting Goods Stores, means equipment and clothes that are used in sport. That said We are the Largest Sporting Goods retailer in the Sea to sky corridor. The Sea to sky corridor includes the towns of Pemberton, Whistler, Squamish and Lillooet, BC. Spud Valley Sporting Goods ltd has a vast selection of Outdoor Sporting Goods which includes camping equipment, hiking gear, fishing tackle, hunting supplies and ammunition. All Seasons are covered in this well stocked sports shop. In the Winter months we display snowshoes for sale and we also rent snowshoes. We have a good selection of Cross country skis, cross country ski boots, waxes and cross country ski poles. We have a great selection of Hockey sticks, hockey pucks, figure skates and Hockey skates varying in price. Even the recreational pond skaters will have a price point that will fit their budget. Need your figure skates or Hockey skates sharpened? 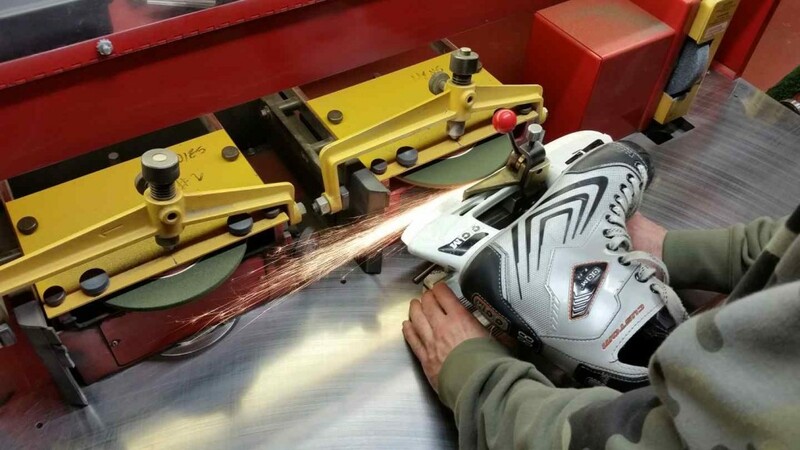 We have that covered, our skate sharper sharpens skates year round. Ice fishing is a huge Winter sport in the Whistler and Pemberton area. We supply everything to do with Ice fishing including Ice huts, Bait, ice fishing rods, jigs and Ice augers. 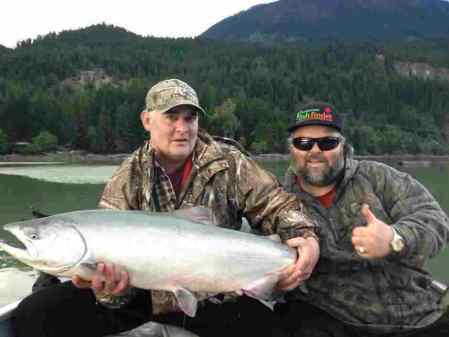 Our local guiding company The Pemberton Fish Finder offers Ice fishing tours in the Whistler and Pemberton area throughout the Winter months. The Pemberton area has so much to offer locals and tourist alike in the Summer months. There is a great selection of hiking trails and campgrounds in the area. These are easily located on our vast selection of maps. Our staff visit these hiking trails and campgrounds regularly and can assist you on choosing the right one for your needs. Kids in the area enjoy Summer sports that include Soccer, Football and Baseball. 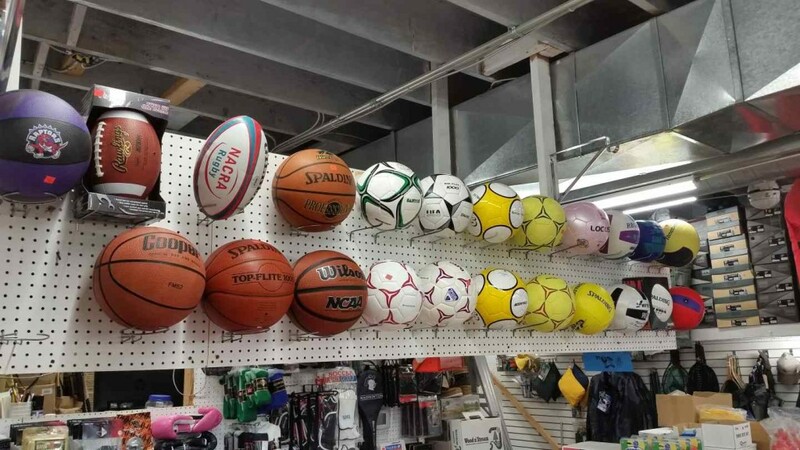 We carry most of the equipment for these sports including cleats, balls and protective wear. Our fishing section is second to non. We have dedicated a whole isle to fishing equipment and fishing tackle. We stock Fly fishing rods, spin fishing rods and trolling rods at a variety of prices. 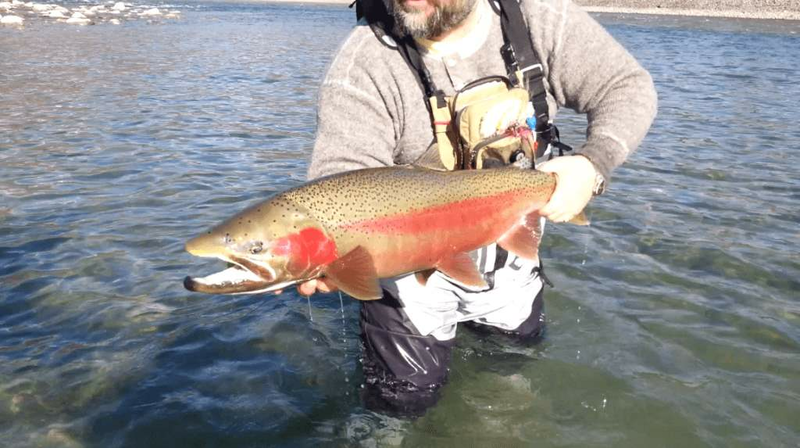 Our Pro staff can help you in selecting terminal tackle, flies for fly fishing and show you how to use it. For more information about Fishing and Hunting please visit there respective pages.